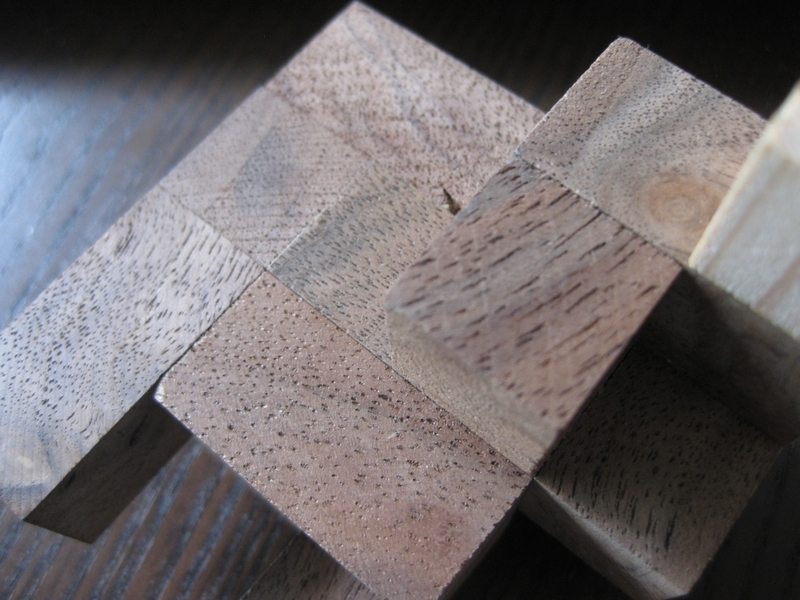 Flemin' is an interesting puzzle from Shiro Tajima from the Karakuri Creation group. This fairly plain looking Cherry box with an inlay detail apparently conceals a hidden compartment in its centre, however it's not easy to find! 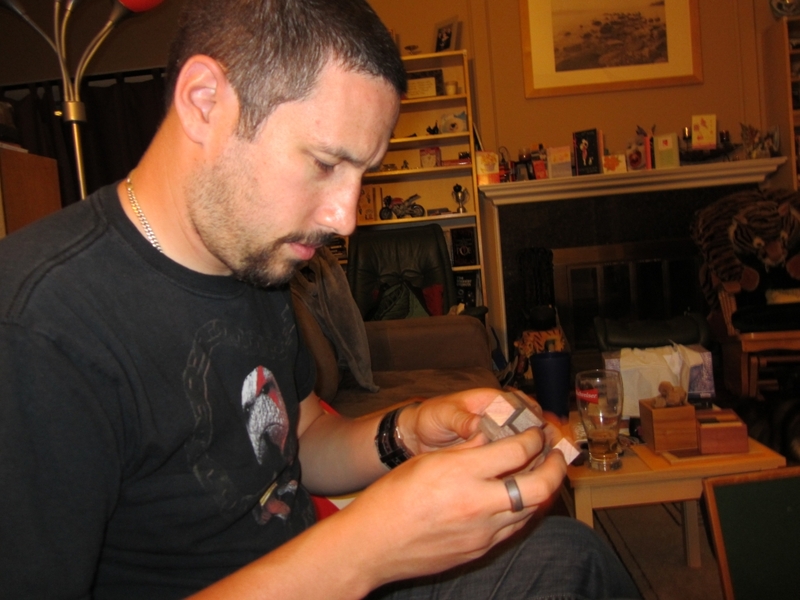 As I mentioned the goal of the puzzle is to open the shell and find the secret compartment. Opening the shell isn't too hard. 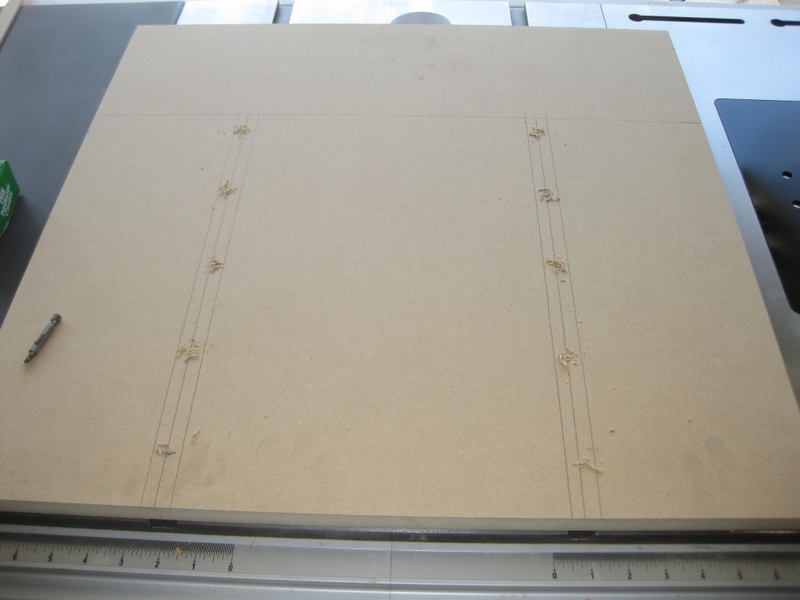 The outer panels are attached to the inner cube using short dowels which run in grooves in the outside of the inner cube. 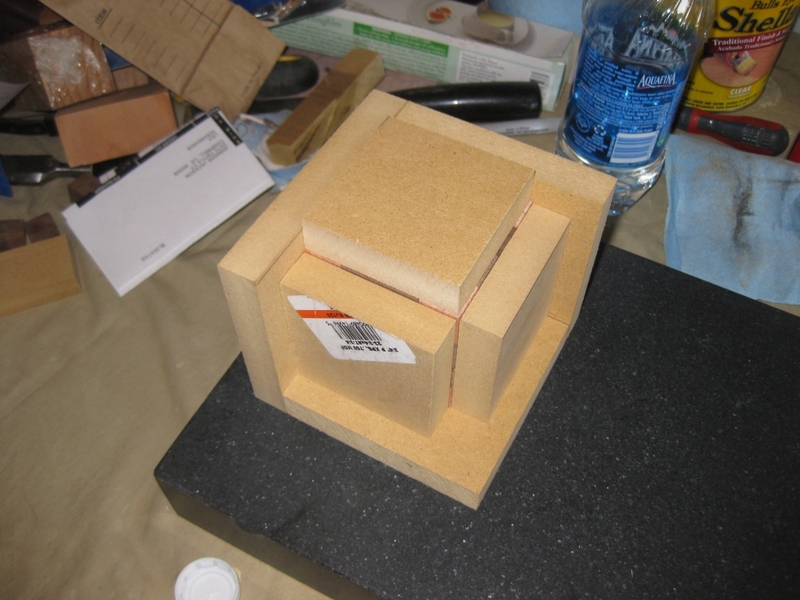 The way the panels of the inner cube are glued together prevent the outer panels from being removed, and keep the solver going round in circles. Confused? The picture below should help. 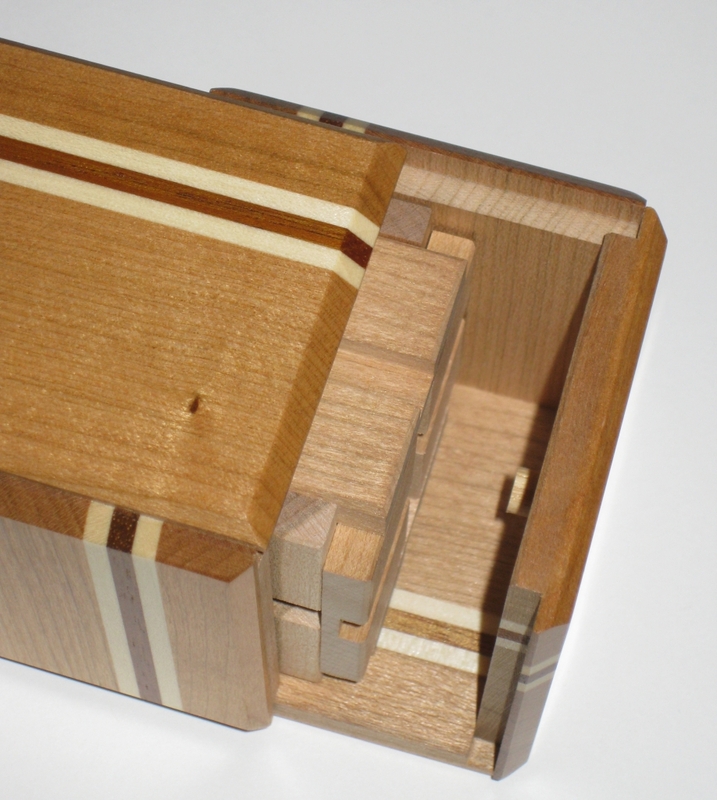 Made from Cherry, Rengas and Mizuki, this take apart puzzle while fairly plain (compared to some boxes we've seen from Shiro Tajima) still has a striking appearance to its outer casing. Created back in June 2010, this box has been around for a while now, but the internal mechanism was slightly redesigned and entered in the IPP 31 design competition in Berlin. I've spent quite a lot of time on this box, which was kindly loaned to me by Derek Bosch, and (like Derek) have singularly failed to find the internal compartment. 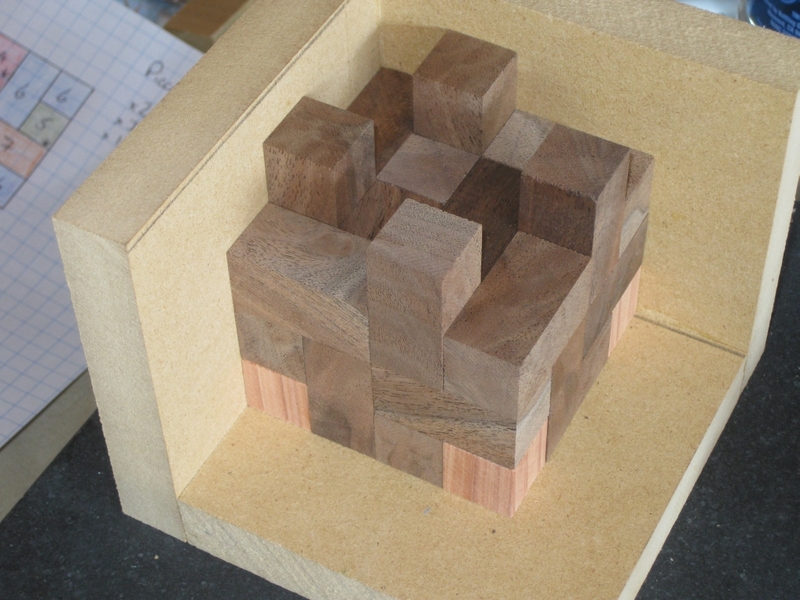 I spoke with a couple of fellow puzzlers about this puzzle, and eventually, talking with Jim Strayer, he pointed me towards the correct technique to open the inner box. It was Jim who mentioned while I was talking to him that the mechanism had been redesigned, and that he can easily open his copy, but was only able to open the IPP copy once. Our thoughts seem to come down to the mechanism on this copy being locked solid as a result of expansion of the wood. Sadly, it is a potential problem with wooden puzzles, and it seems that the mechanism on this box is rather sensitive to wood movement. Given that I have the puzzle on loan, I certainly didn't want to force anything and possibly break a puzzle (and my thumb being slightly out of action doesn't help). Jim did mention that to open the internal compartment the mechanism needs to move very precisely, and I was concerned about damaging what sounds like a delicate internal movement. So for now, this one remains unsolved. I can say that having spent possibly an hour and a half working on this one (most of that before my accident), that nothing I had tried would have led me to opening it, so it is a challenging box even when you understand its mechanism. 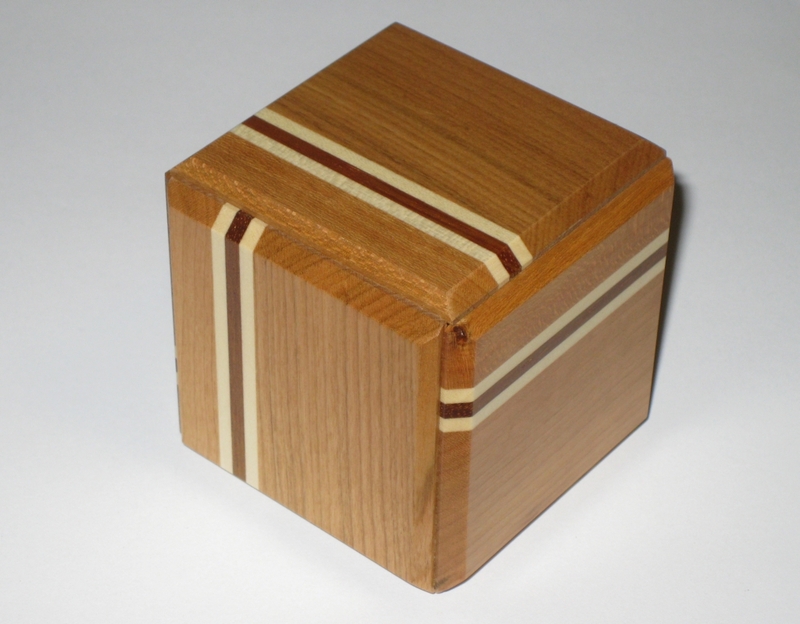 Given the comments of other puzzlers who've struggled to open this one, and the possible problems with wood expansion, I'm not sure whether to recommend this box or not. I really like the concept behind the mechanism, and I'm sure if it works, it is both simple, unexpected and very clever. It is a challenging puzzle, so if you're looking for a puzzle box that is a little unusual, and will not work the way you expect then it's a great buy. On the other hand, if you get one where the mechanism is stuck, this will frustrate you no end. 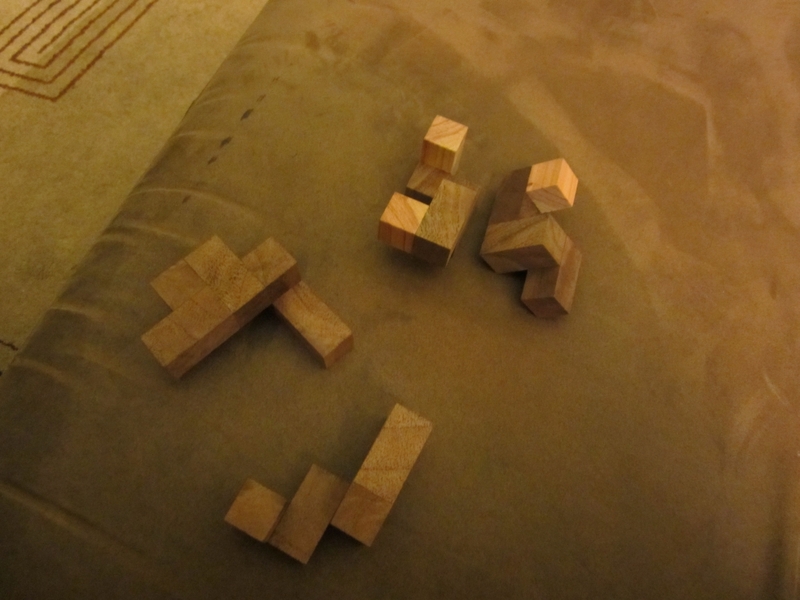 Recently I wrote about my first attempt at building a puzzle in wood, from scratch. You can read about that here. At the end of that post, I had a working puzzle, that I was very proud of, but it still wasn't finished. 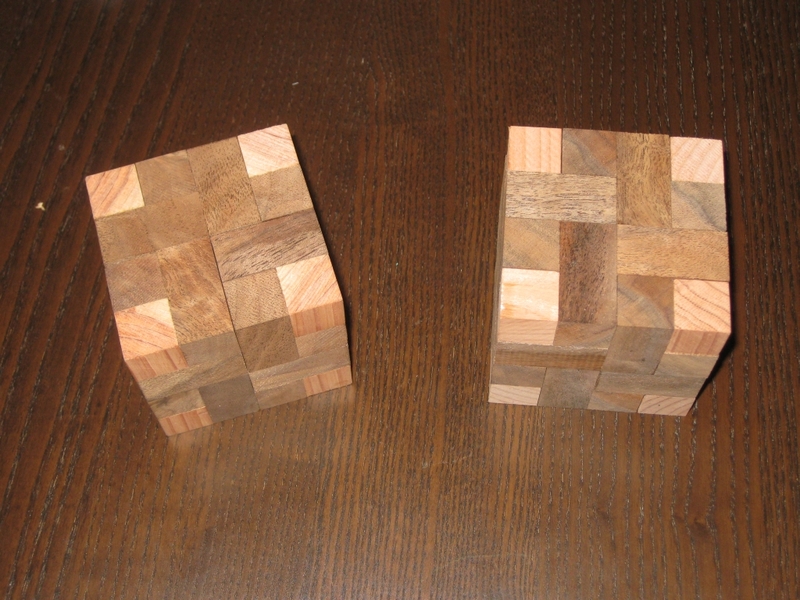 By that I mean that it was finished to the point it worked as a puzzle, but there was no finish on the wood. So I set about resolving that and with advice from a few fellow puzzle makers, here's the result of that process. First up was to sand the outside of the puzzle, so it is ready for the eventual finish, and to break all the edges of the puzzle. Working my way through the grits, I sanded at 120, 150, 180 and 220 grit. Straight off the saw, the edges are all very sharp, and it's not the nicest thing to hold. By passing the edges over some 220 grit sand paper, it takes that sharp edge off, and makes the puzzle much more appealing in your hands. Next thing to do was to apply a coat of lacquer to the puzzle pieces. This does a couple of things. It brings out the grain in the wood and gives some sort of protection to the wood from our greasy fingers. 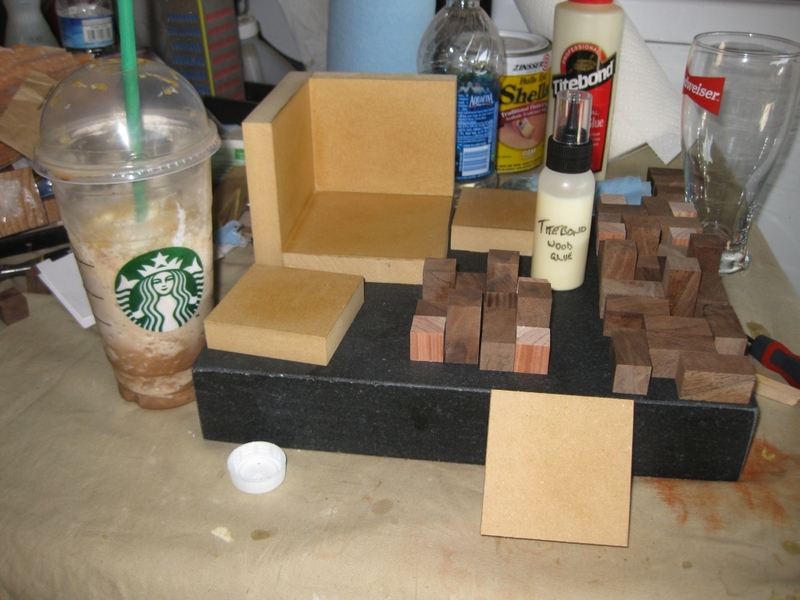 Going with some recommendations, I used 1 part satin lacquer, 2 parts lacquer thinner to apply a very thin coat. Leaving the pieces for 10 minutes after applying then rubbing off any excess with a soft clean rag. The results are pretty obvious when you look at the two puzzles side by side. Given how much time I spent getting the tolerances right, you'll be pleased to know that the lacquer really doesn't add any thickness to the pieces given how thinly the lacquer mix is applied. It's pretty much flush with the surface, so no real issues that I can tell, and my puzzle making friends seem to concur. After that it's time to apply a couple of coats of wax to the pieces. This helps to make sure that things slide nicely. I had a liquid wax recommended to me, as it's much easier to brush a liquid into a corner than it is to use a wax paste and a rag. If you're interested, I'm using Watco Satin Finishing Wax. Finally I use some Renaissance Wax to buff and polish the outside faces. It's not cheap stuff, but it is effective. You really don't need much which is probably just as well. 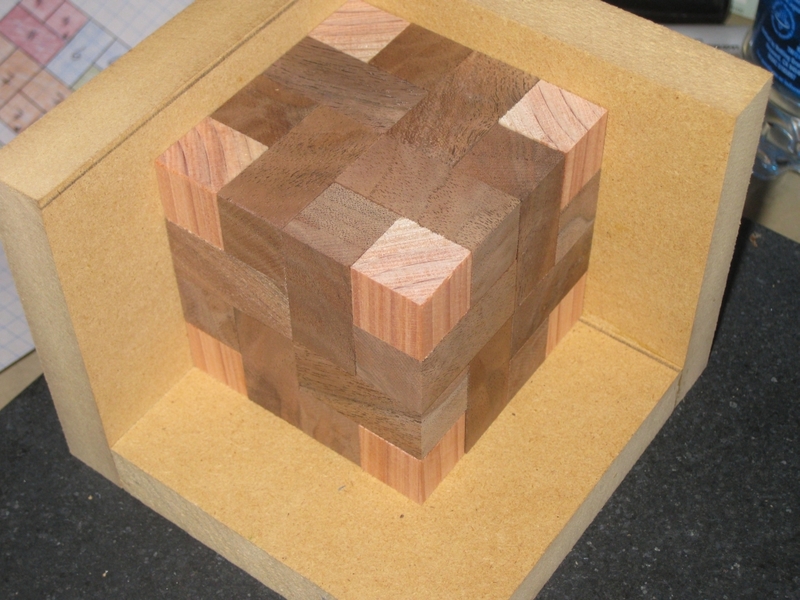 This really brings out the wood, and gives a good protective layer to the outside of the puzzle. If it's good enough for the British Museum, its got to be good enough for my puzzles! If you're wondering, the first fully completed puzzle is now in the collection of a good friend. I'm waiting for him to open the puzzle to let me know what he thinks of it! After the successes with creating both Square Sticks and Cubes, I had to go do something with them; and see if I could create a puzzle. I decided to make some of Stewart Coffin's designs, and having been in touch with him, he very graciously gave me permission to try to recreate any of his designs, and encouraged me to do so. With that endorsement, I was off and running. Well, almost! I had to work out which puzzle I was going to create. There's so many to choose from that it's not an easy decision. In the end, I decided to create something that I didn't already own, so I'd be adding to my collection if it turned out to be any good. 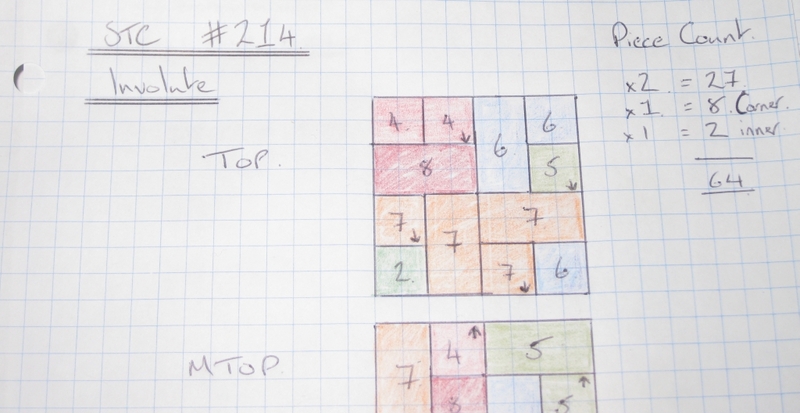 So I settled on a copy of STC #214, the Involute puzzle. The Involute is the third in a series of puzzles from Stewart Coffin, each an improvement over the predecessor. The first was Convolution, a 4x4 interlocking cube which requires a rotation in the solution. Due to the rotation, some material needs to be removed from one of the cubes in the solution (if you have a tight fit) to allow the rotation to happen. You can read my review here. Stewart Coffin notes that given the rotation, and the nature of cubes (which don't like to be rotated when hard against one another), that this design could be improved. In his book "The Puzzling World of Polyhedral Dissections", he leaves it to the reader to see if they can find a solution to this problem. At the same time, Stewart Coffin had already solved the problem, and created STC #198, Involution. Again a 4x4 cube with a rotation required in the solution, but this time because of the design of the dissection, no material needs to be removed from the pieces to allow the rotation. 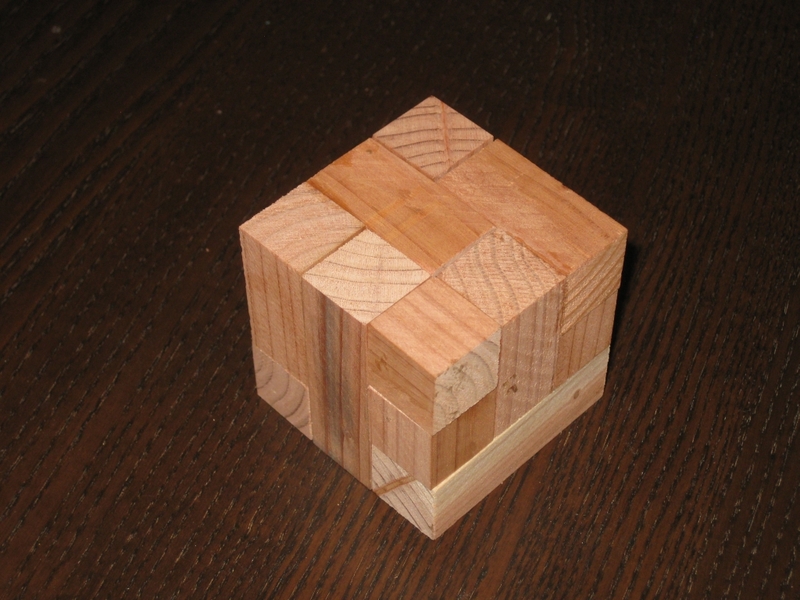 I'll not give away how this is done, as it would spoil the puzzle, but I will say it's a simple and clever solution! I was able to play with one of Scott Peterson's copies that he had made on my recent visit to see Scott, so I can say I've solved both the Convolution and Involution puzzles at this point. The third in the series is STC #214, Involute. This is the final puzzle in the series, and is again an improvement over the Involution and Convolution. Again there is a rotation required in the puzzle, and again, no material needs to be removed for the rotation to take place. There's an extra trick in this puzzle, that I'll get to in a bit which makes it just that bit more devious. All three puzzles in the series look identical from the outside, each having the same cross pattern on all six faces, so without knowing which puzzle you have in your hand, it could easily be any one of the three. Have I mentioned that this Coffin is a devious bloke? 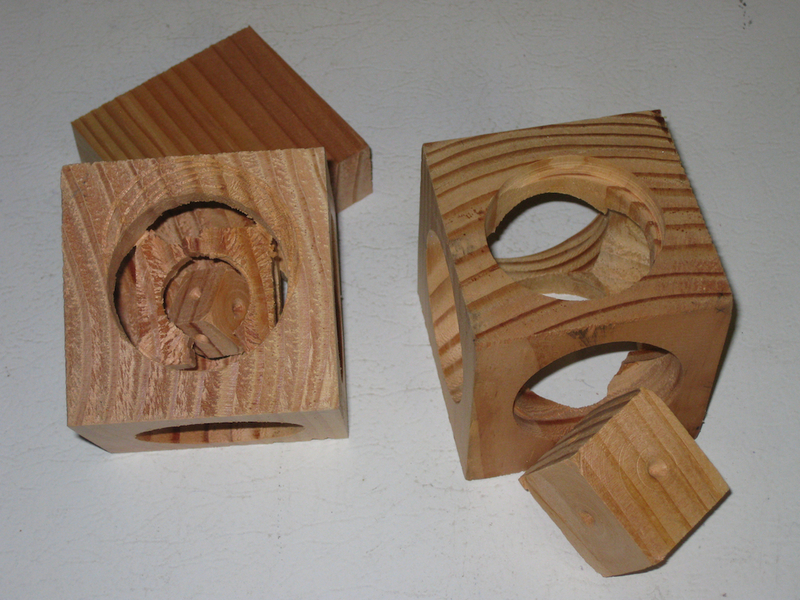 Thanks to Allard and Kevin who both reviewed their copies of the Involute puzzle, I was able to model the pieces in burr tools, and from that create myself a parts list and a gluing diagram to be able to build the puzzle. My piece and gluing diagrams for the Involute. Given that it took several hours to create the diagrams, including the time to create the model in burr tools and so on, I'm not going to give you the whole thing. Not to mention it would spoil how to solve the puzzle (or would it - I'll come back to that thought). 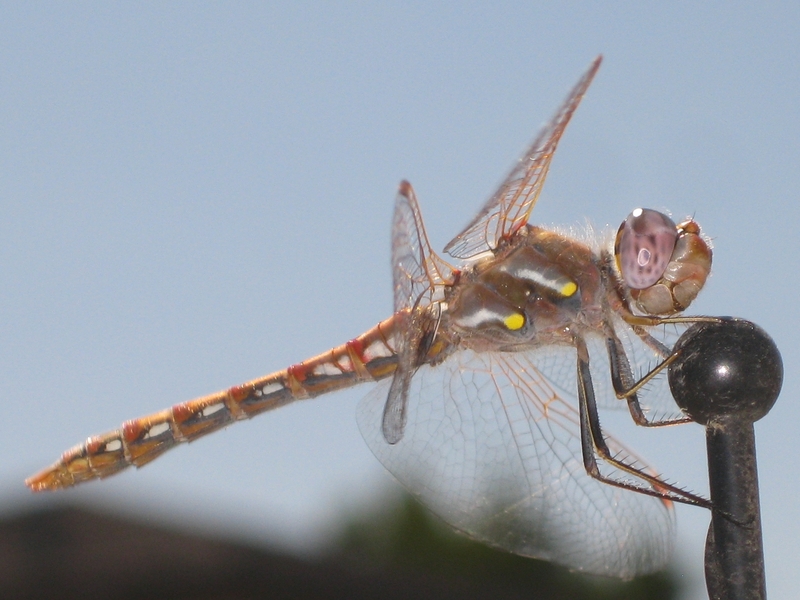 But the image above gives you an idea of what I created. 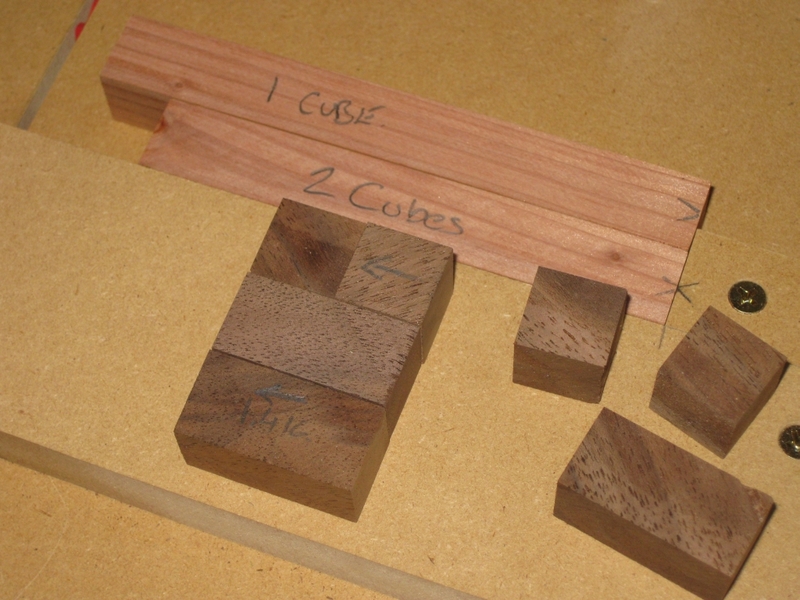 With the design in hand, I went off to the saw, and using the crosscut sled and my stops, I cut all the necessary cubes to make the puzzle. There's quite an array of pieces there when you see them all sitting together. 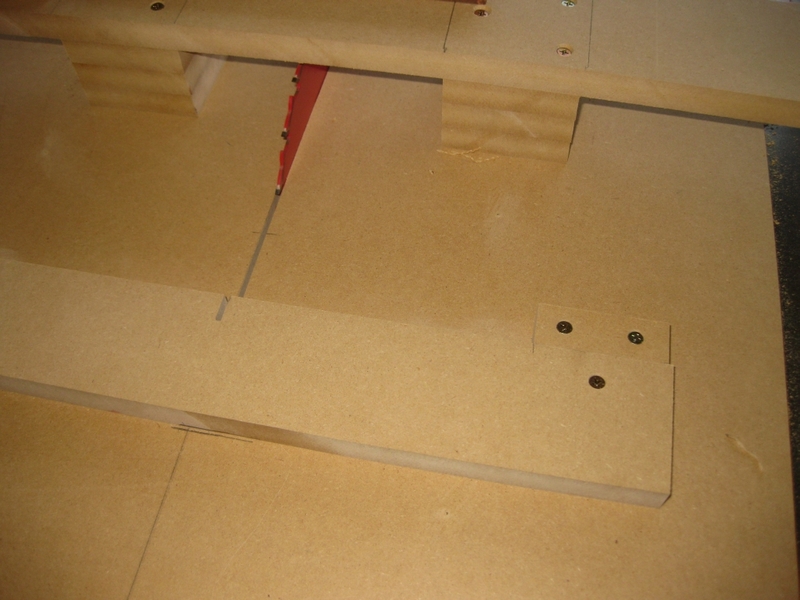 Also in the picture is one jig I hadn't talked about previously. 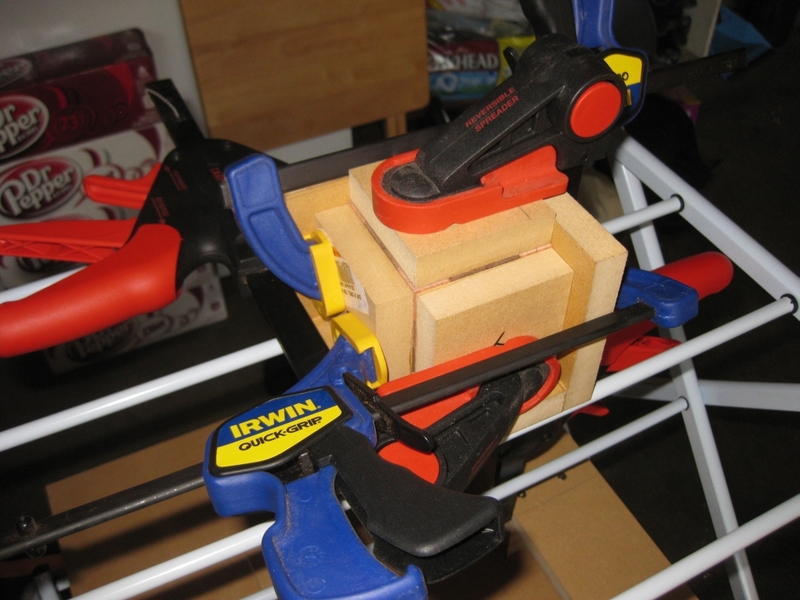 This is my cube gluing jig. 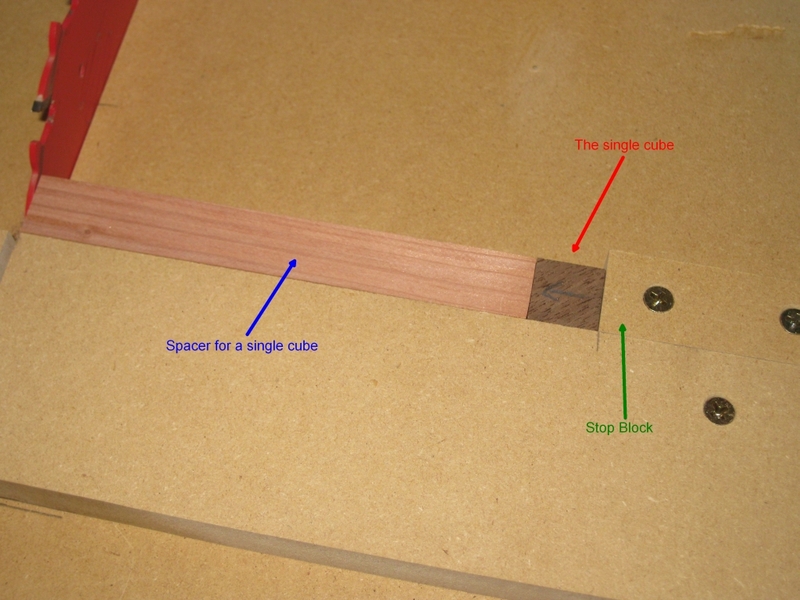 It's not overly complicated, just three pieces of MDF cut and glued together to hold a 4x4 cube cut to my 3/4" stick size which has all edges at 90 degrees, and has been waxed to prevent any glue from sticking to it. 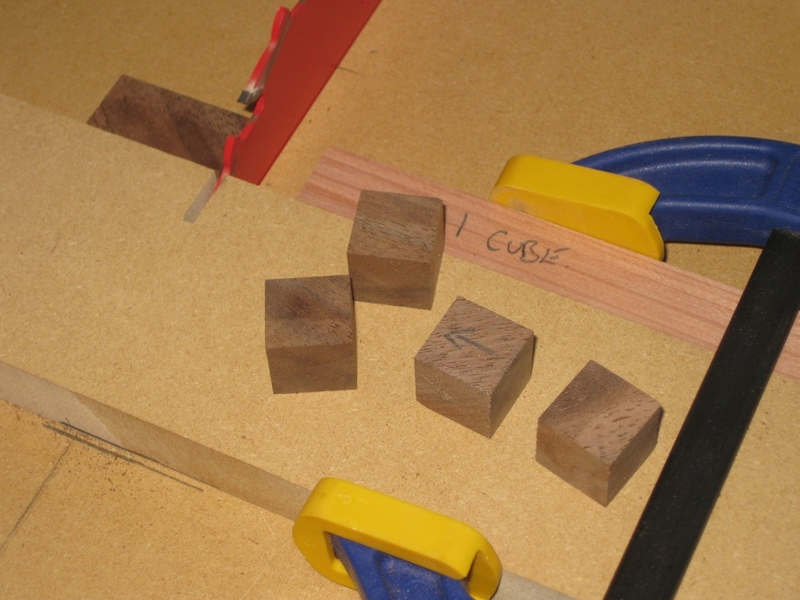 I also have three 'end panels' which will distribute the clamping pressure evenly across all the blocks so as not to twist the blocks while the glue dries. At this point I made something of a realisation. 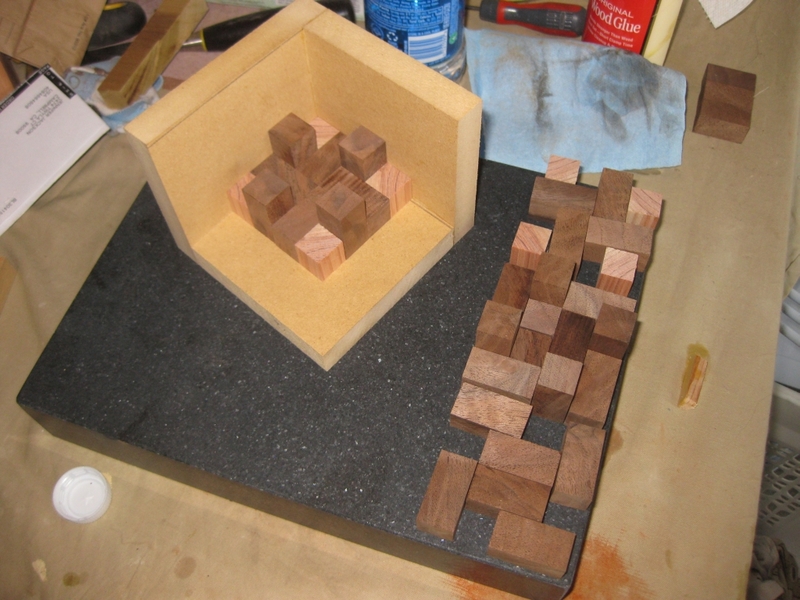 Sitting looking at this array of blocks, and my gluing diagram, gluing up one of these puzzles is hugely complicated. You're working in three dimensions gluing any number of pieces together, all of which needs to be accurate, and with no glue squeeze-out. If you thought Ikea furniture plans were Convoluted, then this is much more challenging! Dry fit in the gluing jig - bottom layer. 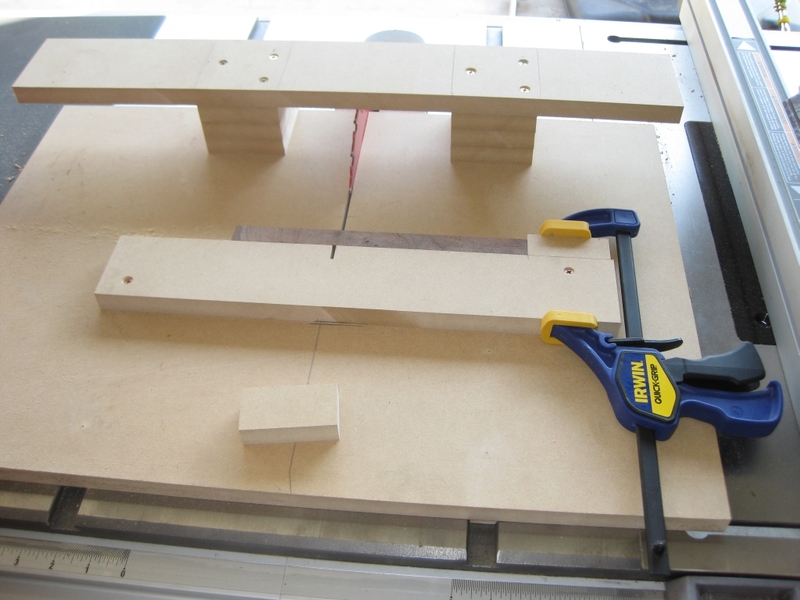 Dry fit in the gluing jig - three layers. Dry fit in the gluing jig - full puzzle. 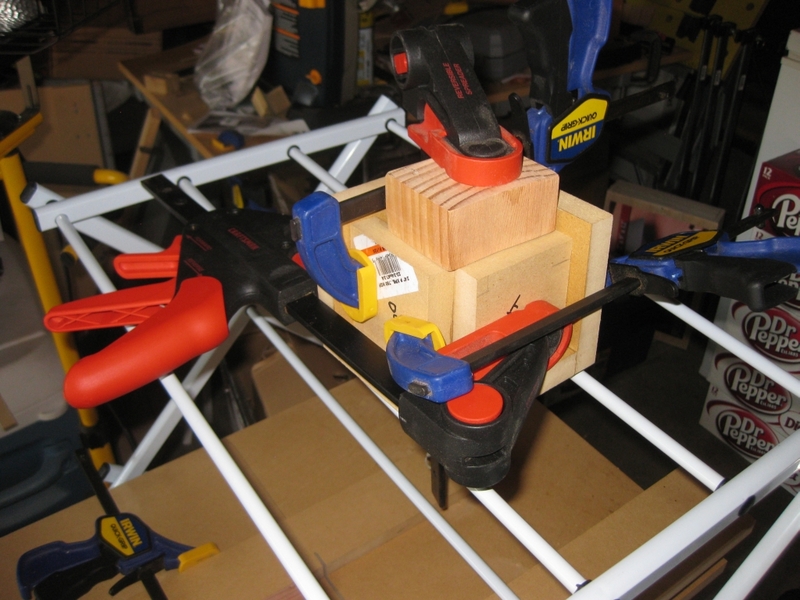 Dry fit in the gluing jig with clamp blocks. Next up I placed all the pieces into the gluing jig, to match my plans. This serves a couple of purposes. Initially, it shows me how good the fit is, and also verified that my plans were correct (at least in as much that I had the correct number of pieces). The other benefit to the dry fit is that it allows me to select which pieces I want to put where in the puzzle. Looking at the grain in the wood, I can select the 'nicest' grain to be on the outside of the puzzle, or look at creating grain patterns by selecting pieces carefully from the pile. Given that this was a first ever attempt, I wasn't too concerned with the grain pattern, but I didn't entirely ignore it either. Since this was the first glueup I'd be doing, I decided to go with gluing up two layers at a time. This meant that I didn't have to work quite as quickly to get the clamps on the jig to ensure that tight fit I was going for. Fortunately, the way the pieces go together, there is a flat surface after every second layer, which was ideal as a stopping point. I also have a smaller glue bottle, where I've decanted some of the glue from my big bottle. This small bottle has a fine nose, and is much easier to work with that the full sized bottle. Given the small amount of glue I'd need for each piece, this is the only way to work. With all the pieces separated into layers, I was as ready as I was ever going to be to start putting this together into a puzzle. Fingers crossed! First layer glued in place. Two layers glued up and clamped. Working reasonably quickly, I glued up the first two layers, and thanks to tips from Scott Peterson, I managed to do so with little to no glue squeeze-out. That's pretty important since any glue squeeze-out will glue blocks together that shouldn't be, making the puzzle unsolvable. 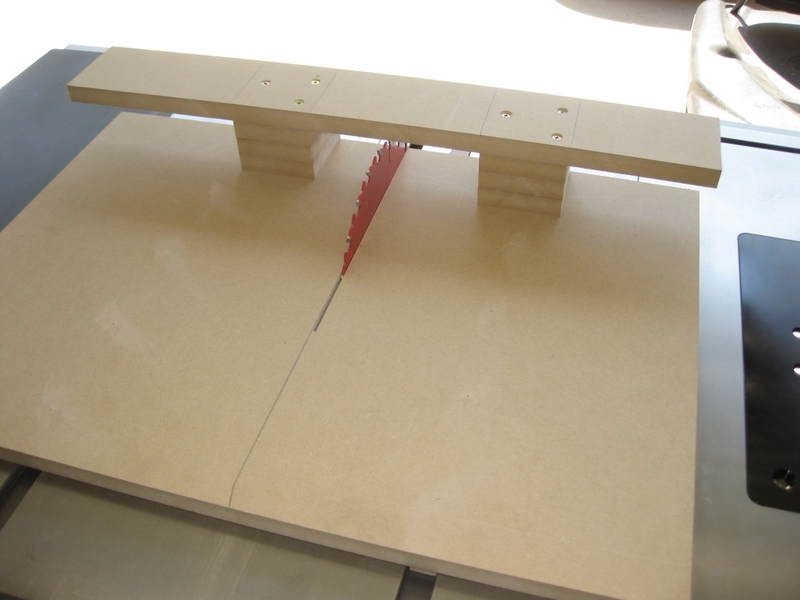 You'll notice the fairly large block of wood on the top of the gluing jig in the photo on the right. 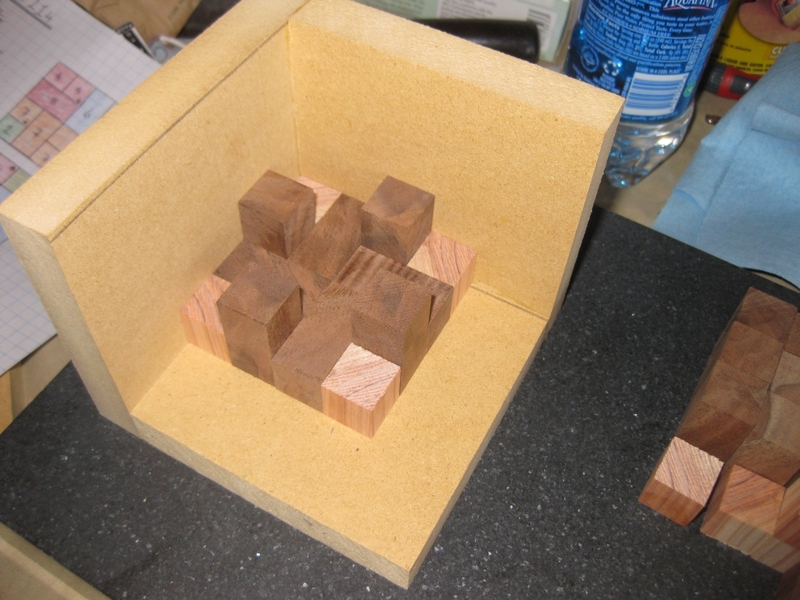 That's because I only have two layers build at this point, so the puzzle is half way inside the side plates. I needed to add some height to be able to clamp the puzzle effectively. Glueup completed, clamped and waiting nervously. After the glue had set, I came back and added the remaining two layers, building on the two I already had. This time, you can see that the puzzle fills all the space, and there are no extra spacers required. I then had to wait a few hours for the glue to dry properly before I could take the clamps off, and see whether I had created a puzzle or a paperweight. They may have a been a few of the longest hours I have experienced in a long time. My fiancée was about ready to kill me, as I wanted to go take the clamps off and see what I had, she kept telling me to leave it alone. I was like a kid on Christmas morning waiting to see what presents I had. I could barely sit still! When things had been left for long enough, I was finally allowed to go take the clamps off and see what I had. I should note at this point, that I have never solved an Involute puzzle prior to making this one. Given that rotations are required in the solution, Burr Tools can show that there is a solution, but it can't animate the assembly for you (or in my case the dissassembly), so I have no idea how to take the puzzle apart. I'm now in new territory, and given that I don't know how to take things apart, or whether the pieces are glued together correctly, and not glued to one another I know this is going to be interesting! Since I know where the key piece is, I can remove that fairly easily, but then spend the next ten minutes pushing and pulling on various pieces hoping that something else will move in the puzzle. I can see that there is movement in the pieces, so at least it's not all glued together, but I am having real problems in finding the second move. The pictures that follow were taken by my fiancée, so are unedited as I make progress. That grin on my face is real! The moment where I figure out move 2. Seeing the individual pieces of the Involute for the first time. As I mentioned, I've never solved the Involute before, so I had no idea how the puzzle was supposed to come apart. The key piece in the puzzle is really well hidden, and without knowing where it was I would have struggled to start, especially not knowing if the puzzle was entirely glued together at this stage. The second move is also very clever. 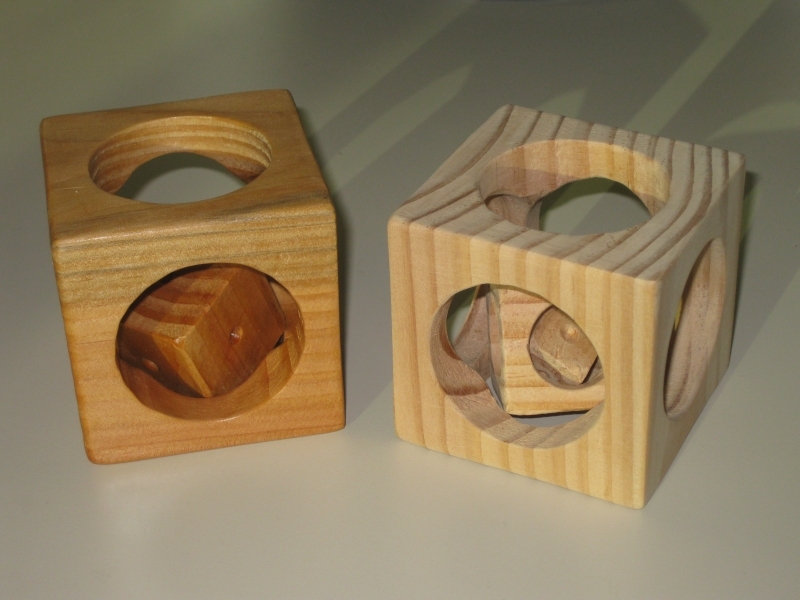 One thing that Stewart Coffin regularly has in his designs is pieces which are created so that the average person will hold the puzzle in such a way that you will be holding the piece you need to move, effectively pushing the puzzle closed and preventing it from being opened. The Involute is no different, and has this very same trick to allow move two. The look on my face when what looked like half of the puzzle slid to the side perfectly must have been quite the picture. I think for me not only was I solving a puzzle for the first time, which always brings a smile to my face, but also it was a puzzle I had built, and seeing it work the way it is supposed to is an ever bigger achievement. I took the puzzle fully apart, and was left with the eight individual pieces sitting on my sofa, with a huge grin on my face. I then realised that I had absolutely no idea how to put the whole thing back together! In my excitement of taking the puzzle apart, I wasn't paying any attention to how the pieces were coming apart! I then spent the next 15 minutes with my gluing diagram trying to put the puzzle back together. Remember I mentioned that having the full diagram may not help that much! I did get there, and the smile on my face seeing the puzzle back together was truly from ear to ear. The rotation in the puzzle works perfectly, and I haven't removed any material from the rotational piece to make that move easier. The fit of the pieces is superb. It's difficult to tell individual pieces apart as you can see from the closeup above. This makes finding how the pieces come apart even more difficult that if the pieces fitted loosely together as there is no movement between the pieces. In case you're wondering, that tiny gap that looks like there's a chunk taken out of one of the pieces isn't tear-out as a result of a poor cut, but was some natural holes in the walnut. 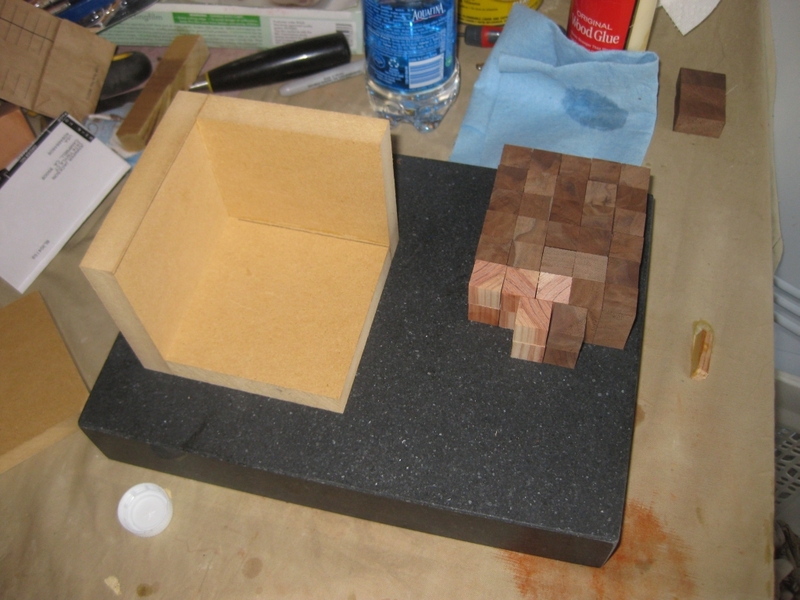 It's also worth noting here that there is no sanding done on any of the pieces, these are all straight off the saw. 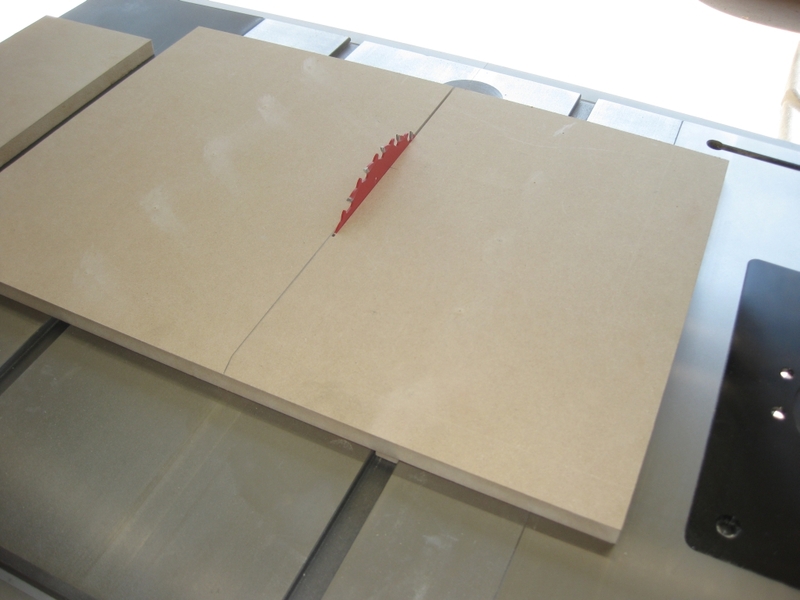 Many people in the puzzle community have noted that sanding reduces the accuracy of the pieces, and that a good clean cut can have every bit as good a finish as a sanded piece, perhaps better, since sanding is effectively scratching the surface. Yes, I made a second to prove it wasn't a fluke! To prove that it wasn't just a fluke and this was a one-off, I went off and created a second copy of the Involute. So what you're seeing here isn't some clever photography, but the two copies side by side. And just to show that it works, there's a partially assembled version next to the fully solved cube. There's another of Stewart Coffin's designs that I've wanted to play with for a while. That's his "Half Hour Puzzle", STC #29. So I drew up the diagram for that, and made one of those too! 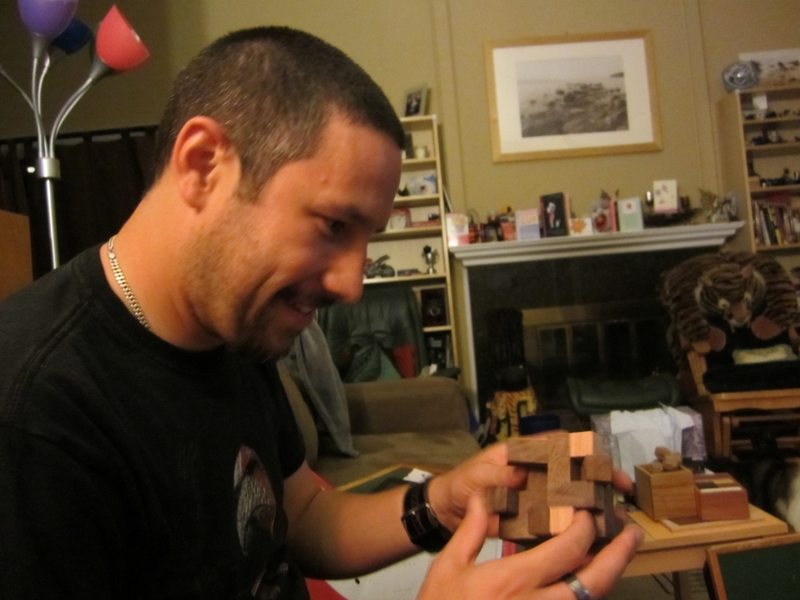 The brilliant thing about the half hour puzzle is that even though Stewart coffin designed it to only have the cube solution, there are hundreds of possible solution shapes that can be made with the pieces. I've created a burr tools file with many of the solution shapes, so if you're interested in a copy of the file, just let me know. So there you have it. Three puzzles in one weekend, all which I am very proud of, and is the start of hopefully great things. As Allard has put it, "One day there'll be a couple of us around who can say that we had one of the very puzzles created by someone the whole puzzling community now knows as the Juggler-guy! :-)" Maybe ... one day. 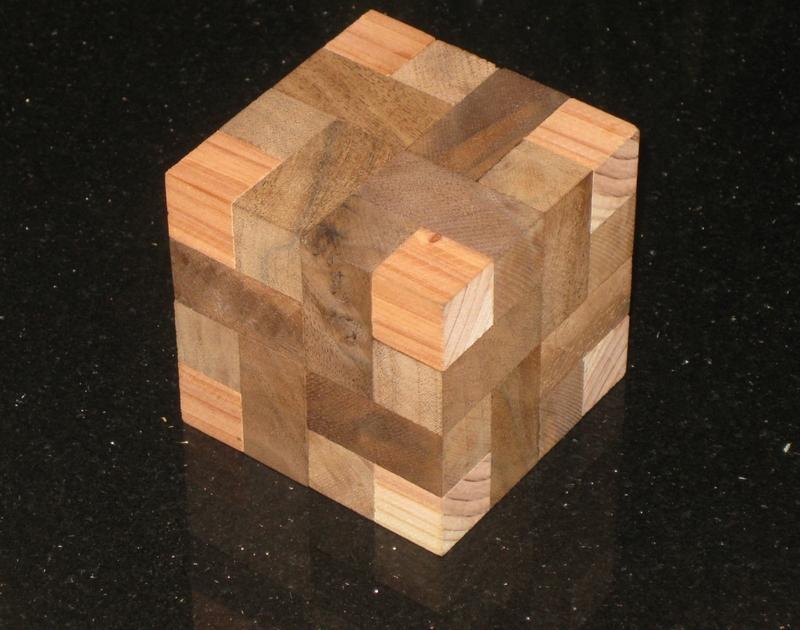 Cube Vinco is a beautifully made puzzle from Vaclav Obsivac. 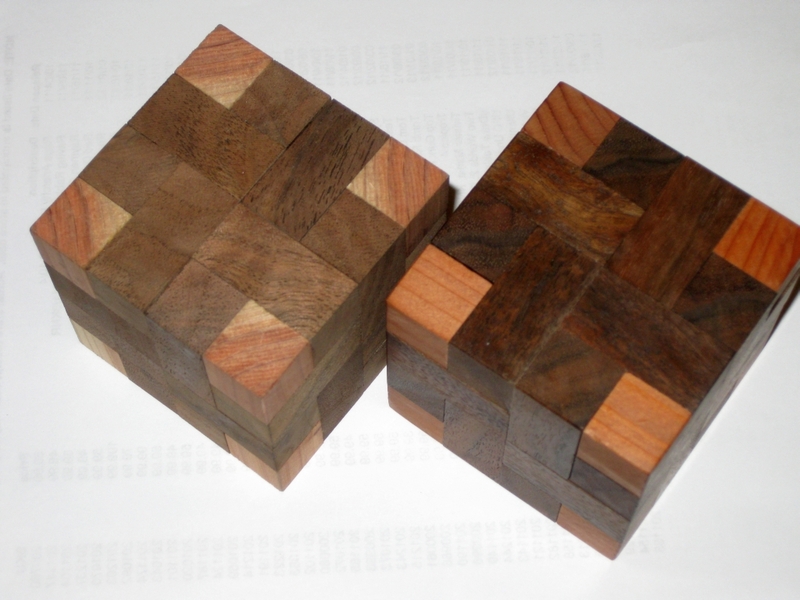 This modest wooden puzzle unlike many other of Vinco's puzzles is not a coordinate motion, but rather a take apart puzzle, and is made just as well as any of the other items he sells. I got this one from Puzzle Master, for around $15, or you can get it from Vinco directly. 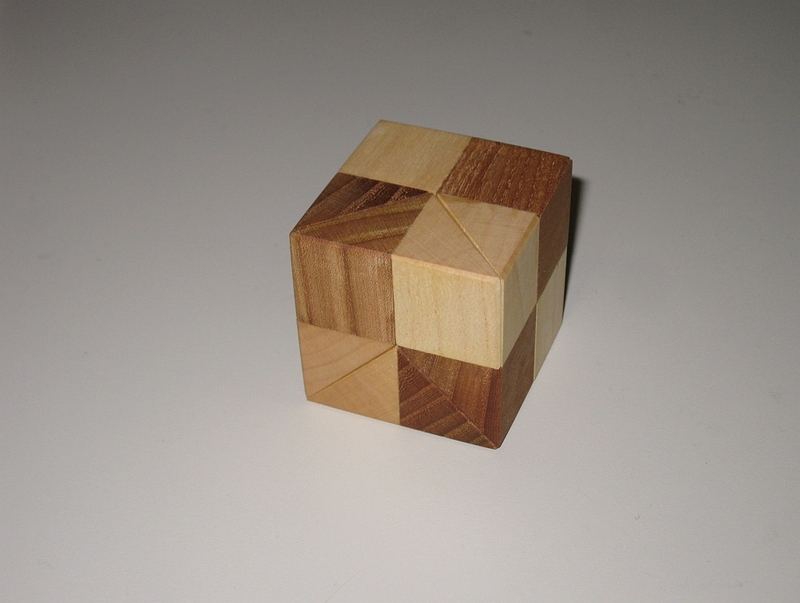 This is one of the smaller puzzles from Vinco at only 1 3/4" cubed. The woods used are fairly plain, however the workmanship is excellent. 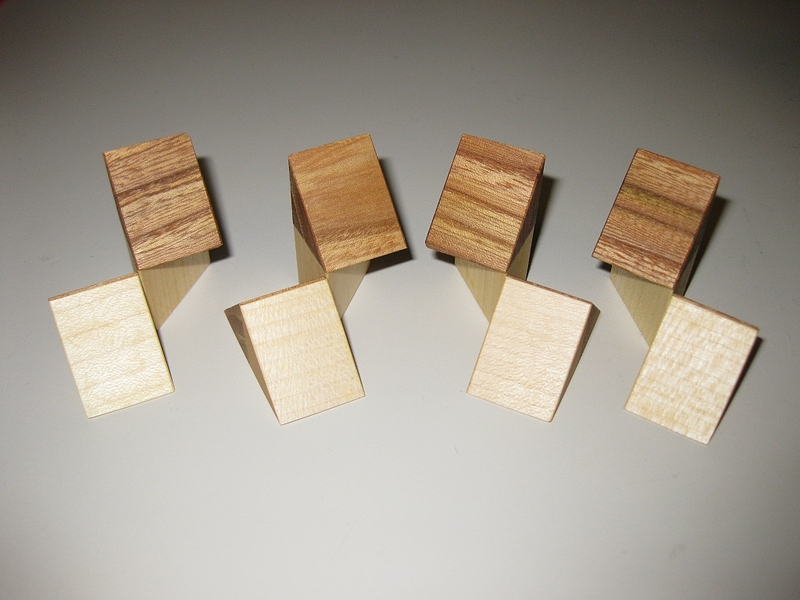 Each of the four pieces fits together very tightly, so that although the seams are easily visible, determining how to take this puzzle apart is not obvious. 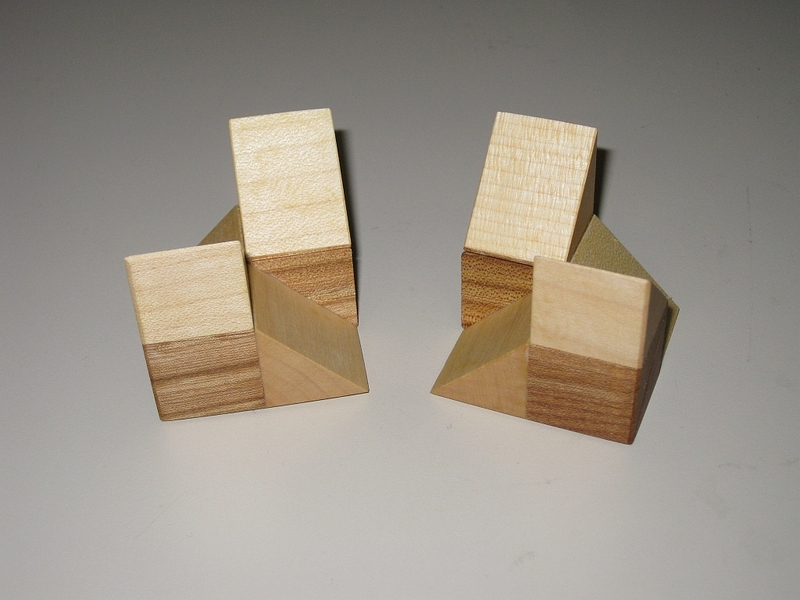 One of the nice features of the way this puzzle is created is that most people when they pick it up will hold it such that as they pull on the sides to try to free the pieces, they will actually be holding onto both sides of the same piece, and in fact holding it even more firmly together, making separation impossible. 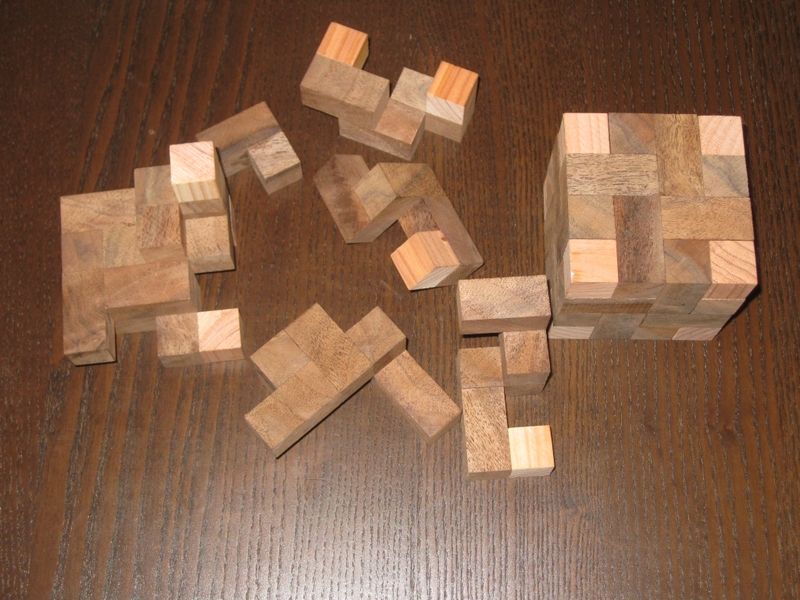 Even when you know how the pieces go together, it takes a few tries to be able to find the correct finger hold to be able to start moving the pieces apart. The puzzle is made up of four pieces, which are a set of two mirrored pairs. 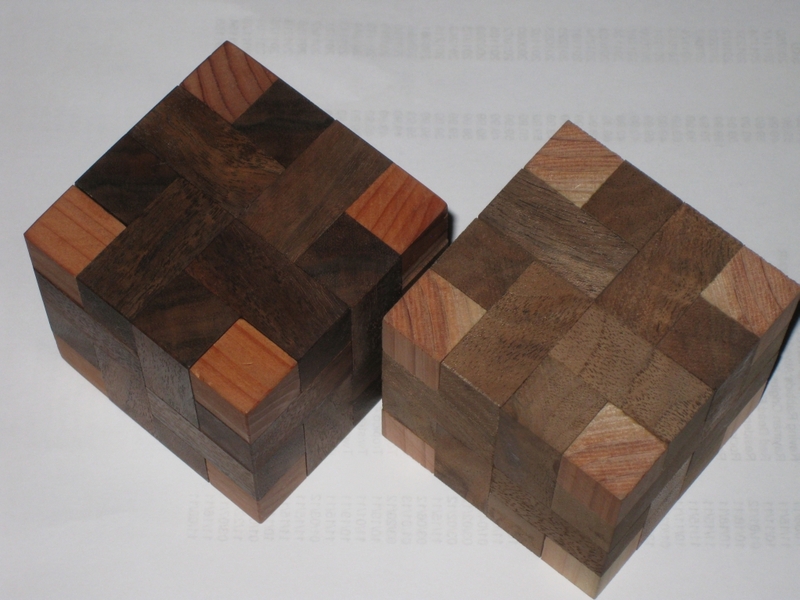 The only way to put the puzzle together is to create these pairs, then in turn join them together to create the finished cube. 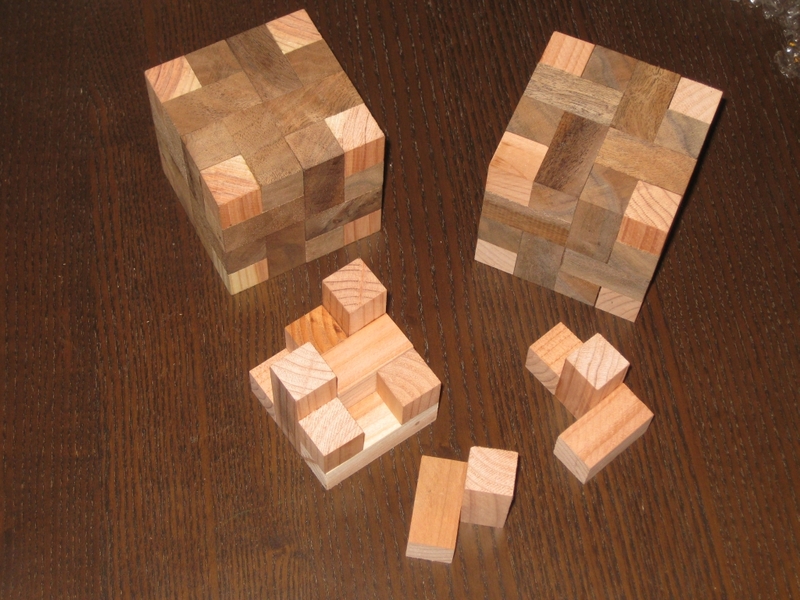 Without seeing the pieces being taken apart, this could be a difficult puzzle to put together, even with only four pieces. In fact when taking it apart, due to the very snug fit of the pieces, more often than not, the pieces fly apart in your hands (and across the room) so you're not going to see how the pieces were assembled. Puzzle Master rates this as a Level 8/10 puzzle - Demanding, however I have to think this is a little high. While it's nicely made, quoting Stewart Coffin, "It is more of an amusement than a puzzle" ( taken from "The Puzzling World of Polyhedral Dissections"). That said, I still think this is a great puzzle to own, and at such a low price how can you resist adding it to your collection!